Man, that cover is awesome. The original cover for this book was pretty great, too, because it highlighted the duality of the storyline, but I'm equally as happy with this cover. That said, the description of the book from the trailer (below) captured my interest in this book much better than the summary from Goodreads (above). I'm all for some magic, but when it's a girl wielding magic while pretending to be a boy in a pretentious all boys school in historic London while also hiding from those who would do her harm in her own world, well, I'm going to be all over that. A lot of my friends who shy away from fantasy tend to do so because the world and it's rules can become quite confusing. 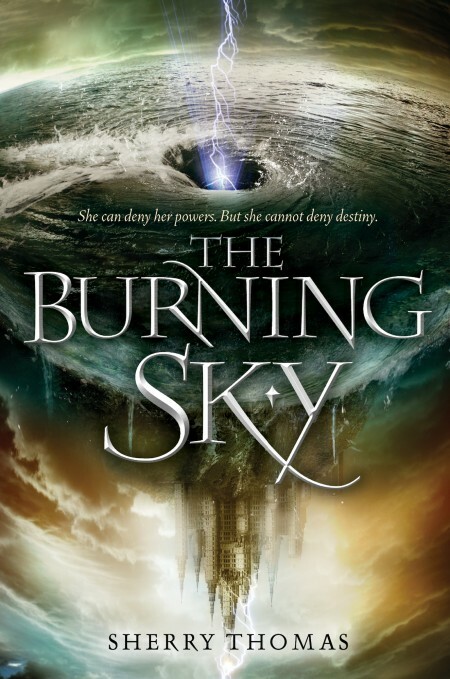 I don't think The Burning Sky is supposed to be a confusing book, but there were times that I found myself questioning the laws of the magic of The Realm or the Seer's predictions regarding Titus and Iolanthe. I often overlook things in fantasy novels, assuring myself that it'll all make sense later. But with this novel, I needed instant gratification, and so when I was confused about which Crucible was being used and which rules related to it because of the location and who it had previously belonged to, I inevitably started flipping back and forth in the book. I needed everything in this novel to make sense in the here and now, not chapters later when everything had worked itself out already. And upon further inspection, it did make sense...it was just easy to get ahead of myself while reading and lose track of some of the details. Some of the paradoxes involving predicting the future still don't make sense, but I think that's just one of those things that I might never fully comprehend. Iolanthe and Titus' first meeting is the result of a prediction. I wasn't immediately enamored with either character, their initial mistrust of each other and overall demeanor leaving much to be desired, but as the story wore on, and more of each character's story was divulged, I found myself rooting for them, separately and as partners. The romance didn't wow me, but it was sweet. My favorite aspect, though, was probably one of the super villain's underlings. 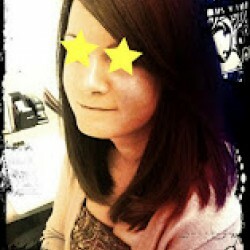 The Inquisitor was ferocious in her search for the powerful mage who had wielded lightning. Her ability to seek out the truth in one's mind knows no bounds, and the Inquisitor makes for a truly terrifying enemy. Her existence and her power make me even more curious about the Bane and his rumored malevolence. 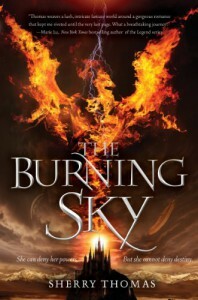 I think The Burning Sky only touched on some characters that could definitely use further examination as the series continues. And I'd like a little more background and explanation as to how the magic works and exists in both worlds. As you can see, I definitely want more, and I'll absolutely be picking up the next installment. I'm hoping that, where this book seemed to focus more on world-building, the next will focus more on characterization. I'm excited to get to know these characters better! Thanks to HarperCollins for the ARC for review!